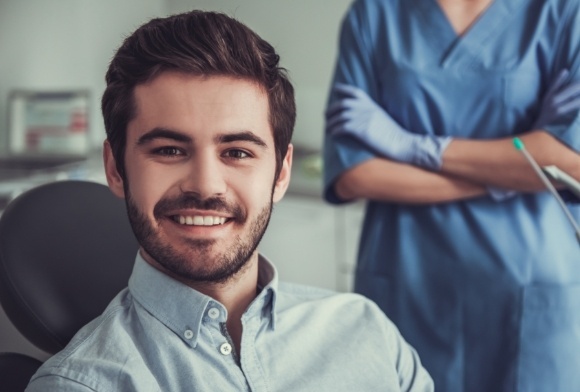 Root canal therapy, or endodontic treatment, is performed to treat an infection in the nerve tissue of a tooth (also known as the dental pulp). While most people are scared of getting root canals, the treatment is actually quite painless and causes much less discomfort than the infection itself. Root canal therapy can generally be accomplished in a single visit to Celebration Family Dental. The process begins with the administration of local anesthetic. Then, we create an opening on the surface of the tooth to access the infected dental pulp. Using tiny dental instruments and a microscope, we remove the decayed tissue and clean and disinfect the tooth. 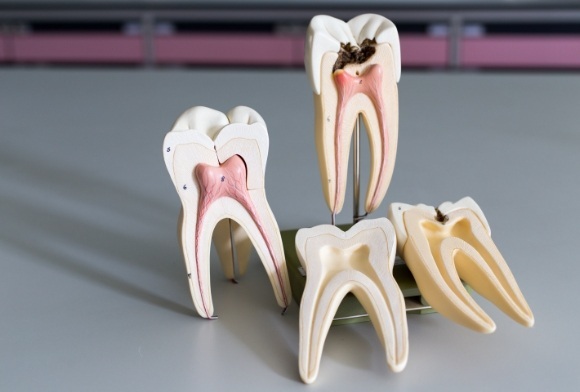 The tooth is then filled using a biocompatible, inert material and sealed with dental cement. A crown may be placed over the treated tooth in order to protect it and restore its function. 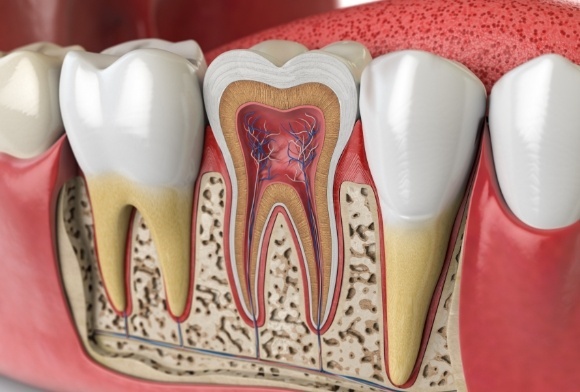 Your tooth may feel some sensitivity or tenderness for a few days following root canal therapy. OTC pain relievers can be taken to relieve any discomfort. One should avoid biting hard on the affected tooth during this period. The cause of dental pain can sometimes be difficult to determine just based on what a patient is feeling. An oral infection, such as a deep cavity or gum disease, can easily move between the teeth and soft tissues, obscuring the original cause. Fortunately, our team can help decipher these dental puzzles and give you the targeted treatment you need to stop the infection and relieve your pain.